This new platform takes the market-leading capabilities from Nordson DAGE’s existing X-ray systems to provide an automated, high-throughput X-ray metrology and defect review system for both optically hidden and visible features of TSVs, 2.5D and 3D IC packages, MEMS and wafer bumps. The XM8000 provides unprecedented, non-destructive, in-line wafer measurement of voiding and fill levels, overlay, critical dimensions and much more. 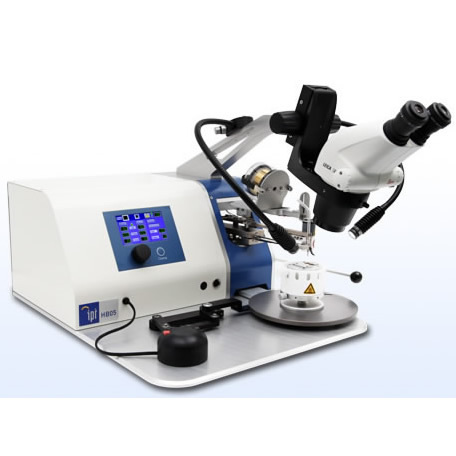 In this way the XM8000 can be used as an integral part of the fabrication and packaging of integrated circuits or as part of quality control and product acceptance. Nordson DAGE, the leader in X-ray inspection for the electronics industry, presents the XM8000 X-ray metrology platform, for the fast, fully-automated, non-destructive measurement of, and within, metal features on up to 300 mm wafers. The XM8000 takes market-leading capabilities from Nordson DAGE’s existing X-ray systems, such as the unique, filament-free, sealed-transmissive X-ray tube, and adds unprecedented levels of precision, detection, automation and throughput. This enables the XM8000 to be used as an integral part of the fabrication and packaging of integrated circuits or as part of quality control and product acceptance. The XM8000 X-ray platform measures the invisible - fast - so you have no hidden surprises.